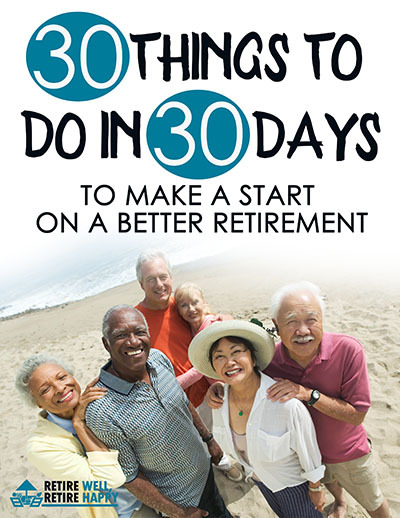 Mary Wingo discusses creative ways to make money in retirement. Mary Wingo was born in the United States where she earned a Ph.D. in human stress research from The University of North Texas. In 2014, She emigrated to Ecuador, a tiny country in South America. Living in a new and very different society opened her eyes to the unsustainable social, economic, and political costs preventable stress causes in the modern world. Being able to sustain herself financially was the driving force behind Mary’s start to becoming a serial entrepreneur. Mary has started many online businesses and low cost startups. Currently Mary is helping immigrants to Cuenca, Ecuador with affordable, low cost accommoddation, of a decent standard in good areas. Ecuador is attracting a large number of economic refugees. Mary can understand how vulnerable a person can be in a foreign land. Mary and her business partner Jeff are looking to develop a system for which they are the go-to people for those needing decent housing in Cuenca. No matter what country you are in, there always seems to be issues with those who deal with properties. pushing an unwanted property on a client and wasting time. Mary shares some tips for anybody thinking they might be coming to Cuenca to live permanently. One tip is to join online forums and ask questions of those that have already made the transition. This can help avoid very unpleasant traumatic situations that can arise after arriving. Although Mary is not officially retired most of her clients are retirees and have many stories to share. If you don’t know the lingo or have knowledge of the lifestyle you could find yourself in a frustrating situation. There are accommodation options for all budgets depending if you are able to live like a local or prefer a few comforts that westerners expect. Reaching out before you arrive or paying a visit before making the big move can save lots of complications. There are many refugees over 65, over 70 and some are over 80 who have all found their way to Ecuador. Some have chosen to relocate becuase they are not happy with the way elderly folk are treated back home. Others don’t care for the political climate but most are wanting their retirement money to last longer. If you need to supplement your income then there are many suggestions that are low capital cost startups. Mary strongly recommends to avoid being caught in the trap of investing large amounts of money into business ventures as you may not get your money back. Ways to make money abroad include, baking your own food to sell in the markets or on the street, becoming an English Tutor online, offering classes in your speciality. Mary’s advice is to just experiment. When there is low to no start up cost then move on to the next option if one does not work out. Mary Wingo is so happy with her new country she is now a citizen. 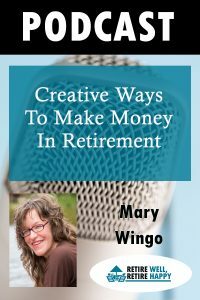 Listen to the podcast to hear more of Mary Wingo’s story and how she has successfully transitioned to live in another country and found creative ways to make money in retirement.